Adopting entails a lifelong commitment to caring for a companion or new addition to the family. Making a commitment to an animal requires that owners love, care for, and respect their new furry friend. It also means they take responsibility and accountability for their action in regards to any animals they have rescued. Owner accountability ensures that animals receive proper and prompt medical care and treatment. Adoption preparedness ensures a smooth transition for you and your new pet, further details can be found under the Owner Accountability Initiative (OAI) tab. Pets are NOT toys. Caring for an animal goes beyond just giving them food and water. 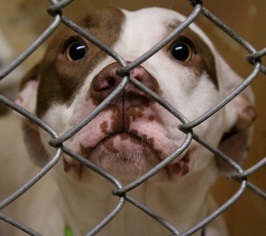 For some helpful tips for potential adopters, view the New Dog Owner Guide provided at Petsbest.com. Kittens start at $100 and adult cats are $75, this covers the cost of their spay or neuter, as well as their microchip, vaccines, and Feline Leukemia and FIV test. Young and small dogs (under a year or under 30lbs) start at $250, and adult dogs start at $200, this includes the cost of their shots/vaccinations, heart-worm test, deworming, microchip, flea treatment, and spay/neuter surgery if not already fixed. The adoption process is easy. Just go online to our section of PetFinder and browse our current list of always updating animals. Stop in and see your new furry friend during any weekday between 11am and 6pm. When you decide you want to adopt, simply fill out an adoption application (linked below) and upon approval you will receive the Adoption Agreement, Receipt form, and a microchip registration to fill out. If your new companion has not been spayed or neutered yet, we will schedule an appointment for a later date. To Apply: Please download this pdf, print it out, and bring it in once filled out. We also provide copies of this form at our facility. Applications do NOT place animals on hold at our facility. The Calhoun County Animal Center, Inc. has a responsibility to its animals. We reserve the right to refuse an adoption to anyone whom we believe will not provide an adequate home.